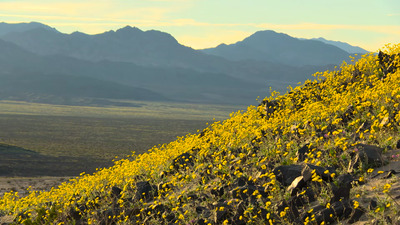 People are flocking to an unlikely destination this month: Death Valley. Death Valley holds the world record for the hottest recorded temperature on Earth — in 1972, its ground temperatures reached 93 degrees Celcius. So, it’s not an ideal vacation spot — or even a lunch spot — but this month people are making an exception. 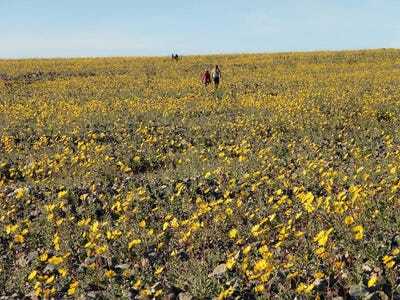 Recently, the valley burst into a beautiful sea of gold and purple flowers that’s unlike anything seen in over a decade, when a rare super bloom covered the valley in 2005. 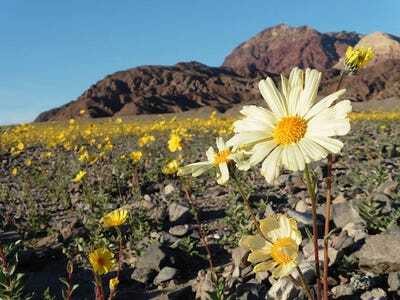 Thousands of flowers are in bloom, making for a rare sight in Death Valley, this month. 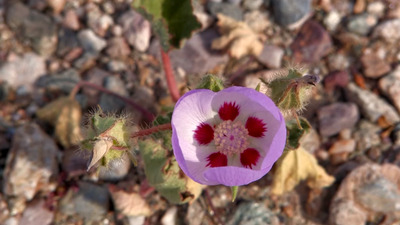 But being a flower in Death Valley is tricky. 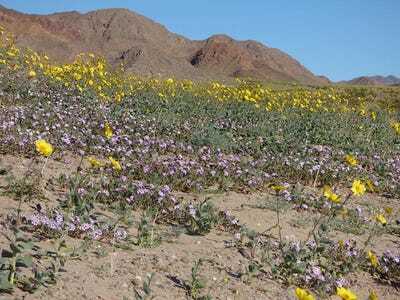 Instead of struggling through the extreme heat and dryness throughout most of the year, these desert flowers spend most of their time as dormant seeds in the ground. When the rain comes, they will quickly take root, mature, and bloom. This year's unusually strong El Niño's brought strong rains to the valley. 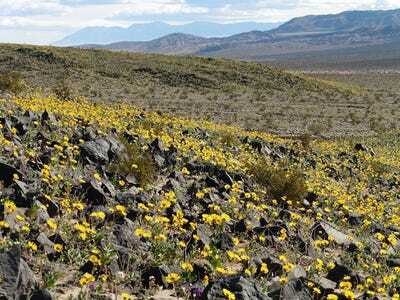 Last October, Death Valley received about 1.5 inches of rain, which is close to how much it usually receives in an entire year. It was enough to spark a giant bloom this month. 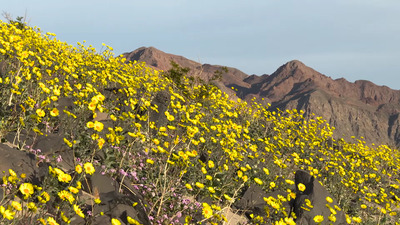 Most of the flowers you see here are yellow Desert Golds and purple hued Notchleaf Phacelia and Sand Verbena flowers. 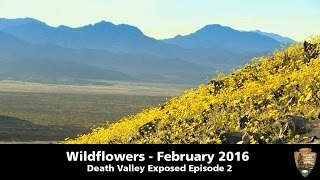 If you want an experience of a lifetime, then you might want to head down to Death Valley before the blooms close up and seed again. (Instagram) Chasing wildflowers..and waterfalls..and campsites. 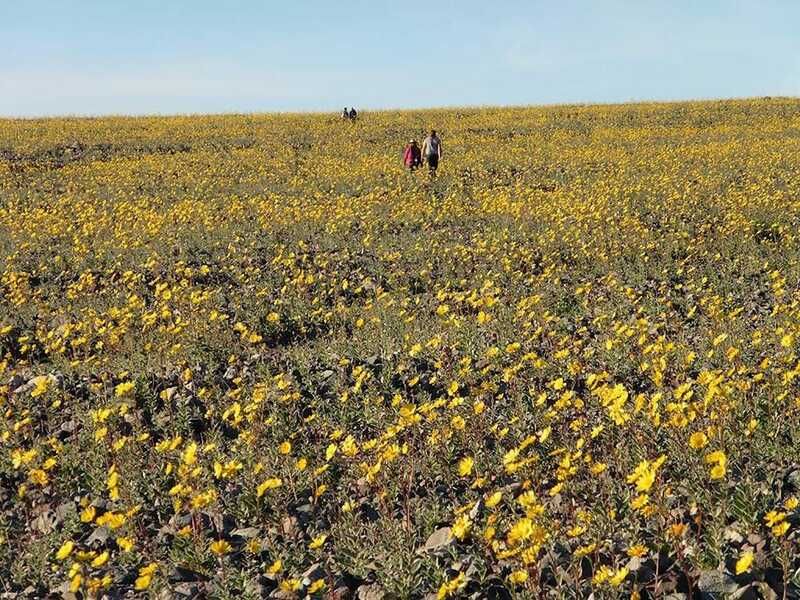 Credit to @kelsiechaudoin for superbloom success!